Today is the star’s 36th birthday. Today (September 4) is Beyoncé's 36th birthday. Her official website has been updated with a selection of photographs from friends and family members, who are recreating one of her costumes from the "Formation" video. The portraits include: her mother Tina Knowles Lawson, Michella Obama, Serena Williams, her Destiny's Child bandmates Kelly Rowland and Michelle Williams, Chloe and Halle, and more. Check them all out here. 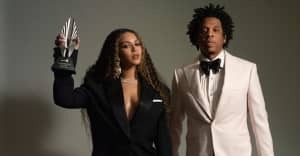 The website also includes a link to BeyGood Houston, Beyonce's fundraising drive for Houston's Hurricane Harvey recovery efforts.